Timing is everything with rainfall. The annual rainfall total doesn’t always reflect whether it was a good year or a bad year, in terms of crop quality and yield. We prefer the rain from autumn to spring rather than in summer. Unfortunately, this is not when we are getting our rain anymore, so we’ve had to change the way we farm to take advantage of any rain we get. 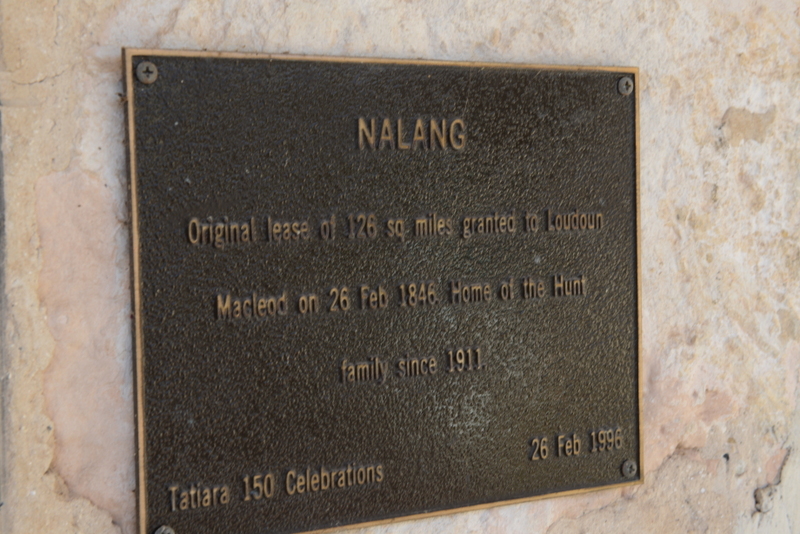 Our property Nalang is about 10 kilometres south of Bordertown, on the border of South Australia and Victoria. We have about 1200 hectares and most times we make a pretty good living from it. We don’t irrigate. We rely completely on natural rainfall. 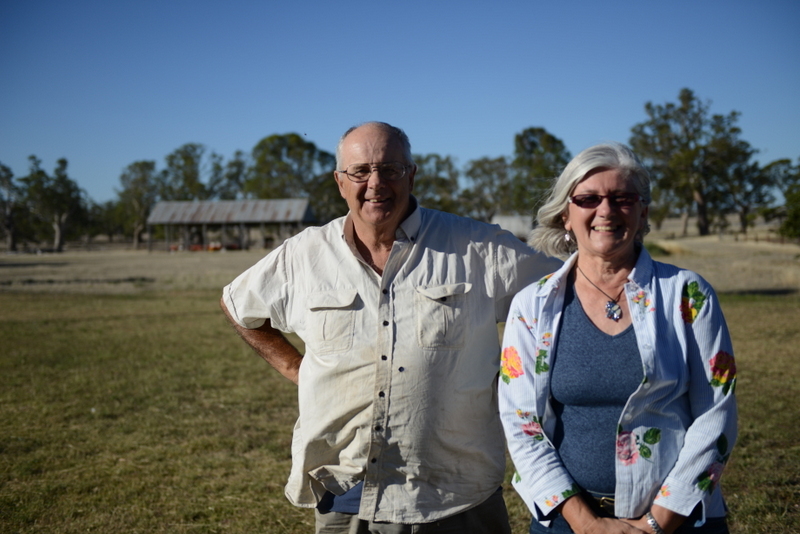 In a normal year, we crop 60 per cent of our property and the other 40 per cent is pasture. That’s only a guide, not our ‘religion’. If the season gets off to a bad start, we might drop a couple of cropping paddocks in favour of putting sheep on them. Being flexible is really the art of what we do, I suppose – being able to bend whichever way the season goes. We have about 1250 Merino ewes. We grow milling oats, durum wheat, beans, a bit of oilseed, barley and canola. And we make silage. The biggest oat millers in Australia opened a new mill in Bordertown and need 70,000-100,000 tonnes of oats a year. Because they are only 8 kilometres away, oats have become our main crop of choice. We have divided the property into several sections and manage paddocks in those sections the same way. Some sections we’ll crop; others, we’ll run sheep. Managing the farm this way helps particularly for moving stock. It’s better having pasture paddocks adjacent to each other so you can open a gate and let the sheep wander into the next paddock, rather than having to herd them from one end of the property to the other. We use a 7-year rotation cycle in each section. The first 3 years are pasture-based clover, then we sow canola, then oats, then beans, then either another oat crop or durum wheat, and finally barley, before returning back to pasture. The first year of pasture is dual-purpose. 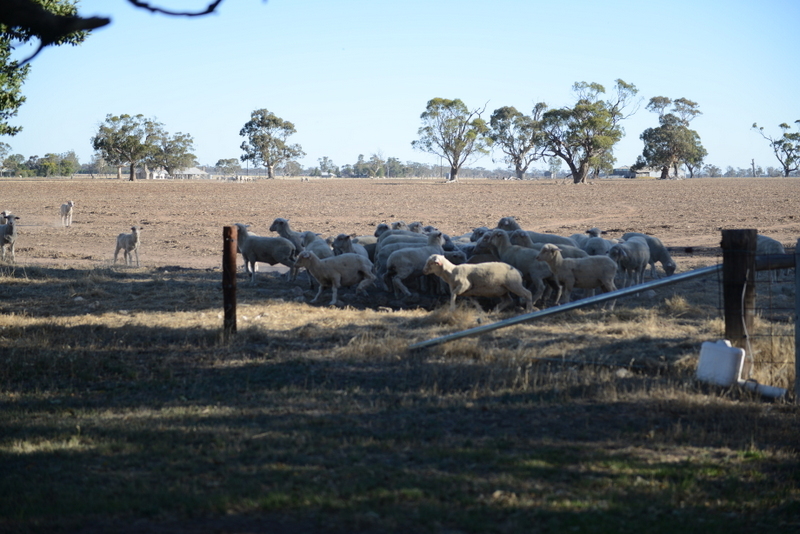 We sow barley and clover in alternating rows, and it can end up either as sheep feed or a crop, depending on the year. Normally we use barley, but this year  we’ve ordered enough winter-active [with a more pronounced winter and early-spring growth pattern] Wedgetail wheat to undersow 30 hectares [sowing a later-growing crop on land already seeded with another crop]. Winter-active wheat has a winter-chill requirement before it runs to head. We are hoping it will be a good grazing proposition. We’ve grazed oats and barley before, but we’ve never ever put in and grazed a winter-active crop. If we get enough late autumn rain, we could plant the wheat in March. We’ve been getting a bit of that rainfall in recent years, so we’re going to experiment with it to try it. We think that we’ll plant the wheat and then graze it 2 or 3 times, then harvest it. 1967, when I started farming, was one of the driest years on record for this region. That year we had about 9 inches [229 mm] of rain. Then in 1974, we had about 30 inches [762 mm]. They’re the extremes, and the rest of the years fall somewhere in the middle. The climate here is a Mediterranean sort of a climate. A typical year for us is a warm-to-hot, dry summer and a cool-to-mild, damp winter, with reliable rains in autumn and spring. But we haven’t had an ‘average’ year for many years. In the ’70s and ’80s our creeks used to run five years out of seven, but from the early ’90s until 2010 they rarely ran at all. Then from 2010 to 2012 we had four floods in two years. I don’t know if it’s climate change or climate variability, but we seem to be getting much more variation than we did in the past, particularly during summer. Now we seem to be getting more extreme heat and rain during summer. For instance, in November 2009, we had 2 weeks with maximum temperatures between 35 °C and 42 °C. It absolutely fried everything, downgraded our crop and cost us hundreds of thousands of dollars. The following year, we had over 100 mm during December, which delayed harvest and caused weather damage to the crop. Timing is everything with rainfall. The annual rainfall total doesn’t always reflect whether it was a good year or a bad year, in terms of crop quality and yield. We prefer the rain from autumn to spring rather than in summer. Unfortunately, this is not when we are getting our rain anymore, so we’ve had to change the way we farm to take advantage of any rain we get. One of the best things we have gained from the MCV Climate Champion program was from our group visit to Birchip in 2012. On that trip we found that Birchip fellas like David Smith are still able to grow amazing crops on 6-7 inches less rainfall [152-178 mm] than what we’re getting here. Some climate predictions suggest that, in 20 years time, the climate of Bordertown may shift to resemble the current climate in Birchip [200 kilometres north-east of Bordertown]. That’s the key to dealing with all this climate variability, in my opinion: look at other areas that you think your area will be like in 10 or 20 years time, and learn how they’re dealing with it now. As such, we are trying to learn from farmers in warmer, drier areas such as Birchip. We’ve also joined the Birchip Cropping Group. We’ve taken on board a lot of the stuff that they say and do, particularly how they retain their summer rain. They ‘harvest’ summer rain: any time rain goes into the ground, they work hard to keep it there for next year’s crop. One of the ways they do this, and something we’ve adopted, is to deal with weeds in early spring. Instead of spraying weeds in late October and over summer, we now spray them in mid-September before they set seed. A ryegrass could be carrying anything up to 30,000 weed seeds from one pasture year into the next. By spraying them before they get to that stage, we don’t have as large a weed issue the following year. That means we don’t spend time mucking around with spraying weeds early in the season. We just get the crop in the ground and get it going on the summer rain we’ve harvested. Last year  we only received 1 inch [25 mm] between the start of August and end of November. That’s 4 of the most crucial months when we need rain to finish the crop. Surprisingly, we were still able to get relatively good yields and the quality was excellent. We put those yields down to the moisture we were able to preserve from rains earlier in the year. Another good thing about no rain was that there were no fungi or bugs or anything. We aim to sell off all our wether lambs by the end of April, before the toughest feeding months. When the new lambs are born toward the end of June or early July, the pastures are better able to keep pace with the feed demand. We have been marking well over 100 per cent of lambs since we went to later lambing; older ewes are consistently doing better than 120 per cent. 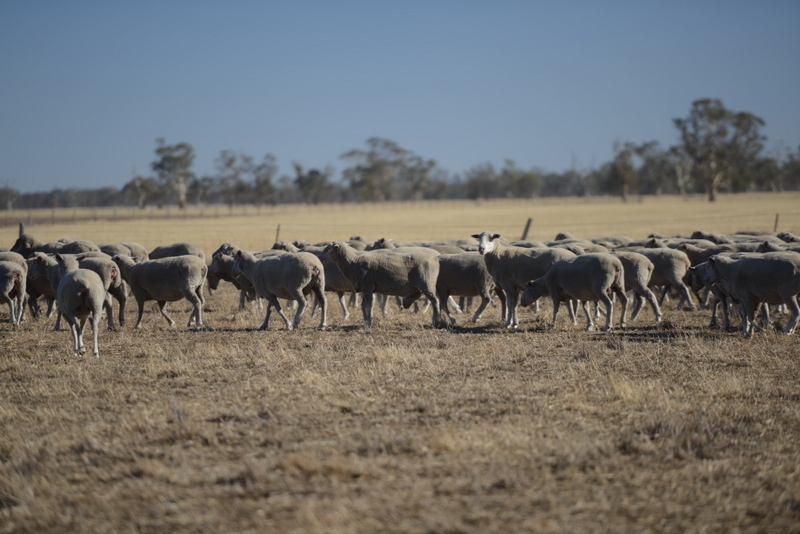 Our sheep are about 70 per cent Merino and 30 per cent South African Mutton Merino. We call them ‘SAMM Merinos’. We love the SAMM infusion: they have high lambing rates, high survivability and are very robust sheep. Sheep are another dimension to farming. They help clean up weeds and stubble, and crops that have been ruined by too little or too much rain. 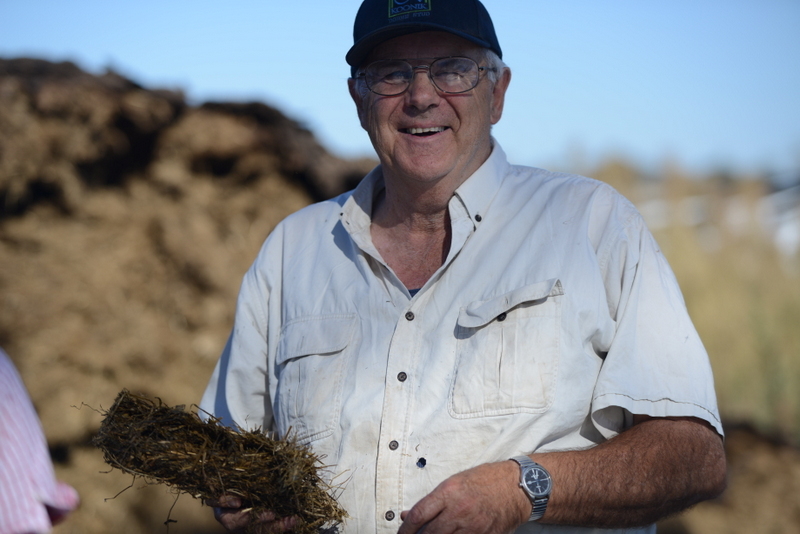 I applied to participate in the MCV Climate Champion program because I wanted to find out as much about the climate as possible, and how other farmers are adapting to changes and variability. I’ve modified my farming system to a large degree, and I’ve met a lot of great people making really good changes to the way they do things. Just going on that trip to Birchip and seeing how farmers like David Smith are still able to grow a crop with less rainfall than we get gives us hope for the future.